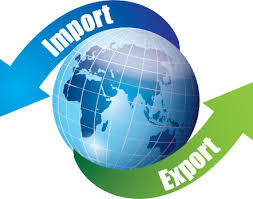 This one would be quick note to tell you about the feature of Exporting and Importing Reports in vRealize Operations. In one of my previous articles, I wrote about creating a report out of a dashboard. Here is the link to that article. We all know that with Custom Reports, you can also pull in the Views to showcase a List, Chart etc with the kind of data you want in a vROps report. Hence, if you would need to create the View first and then create a report in which you would use that View. With vROps you do have the option of exporting a report and importing the same into any instance of vROps since all these reports are dynamic and are based on the Object Metrics. The good news is that if you plan to import a pre-created report from on vROps instance to another, you would just need to import the Report and any custom views (one or more) would automatically get imported along with the report. You can then use these views in other reports as well in case you wish to. Now this not only is a very handy feature, but this opens the platform for you to create and exchange reports with other members in the vCommunity pretty easily. This also gives me a task to share some of the reports which I have been creating for my clients through my blog. Stay tuned for some Custom Reports which can please your business & management stakeholders with this powerful feature of vRealize Operations. As always!!! Share & Spread the Knowledge. The Chicken who went to Chilie!